The feature film directed by Lance Daly, which is currently filming in Ireland stars Jim Broadbent, Stephen Rea, Moe Dunford, Barry Keoghan and Hugo Weaving is in immediate need of actors for background roles. 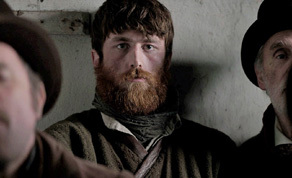 The period drama set in 1847 during the height of the Great Famine needs actors to portray very thin famine victims and soldiers with hair long enough to be styled for the role. Filming is already underway for the project, so applications are encouraged immediately. To apply please send a current headshot with contact details to info @ backstagecasting.net ASAP.